Creation: VA 354 appeared as upgraded routing over SR 622 in June 1942 (CTB), running from VA 3 (now SR 622) south 1.44 miles to around SR 618. This is the only VA 354. Adjustments: In Sept 1942 (CTB), VA 354 was extended south 4.84 miles. In May 1943 (CTB), VA 354 was extended south 3.28 miles to the northern SR 625 jct below Ottoman. 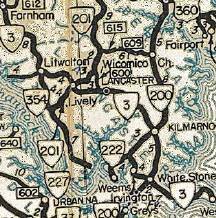 Sometime around 1944, VA 354 was extended southeast via SR 625 to the edge of the Corrottman River at Millenbeck, which was the defined endpoint of VA 354 in a 1942 Act of the General Assembly. 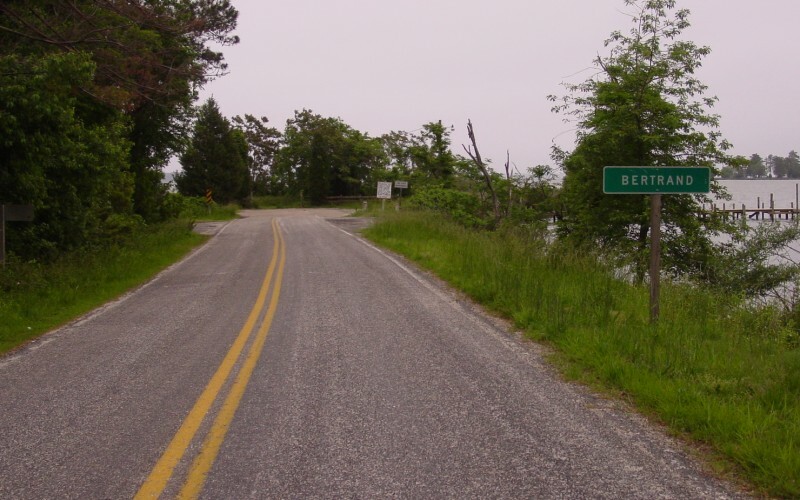 In May 1945 (CTB), VA 354 was rerouted to end at Bertrand instead of Millenbeck. The old road to Millenbeck became SR 682. 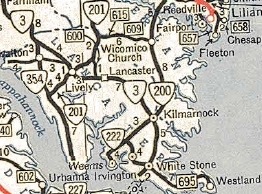 About 1950, VA 354 was extended north over VA 3 to the new and current location of VA 3. In Oct 1962 (CTB), VA 354 was rebuilt in the Ottoman area, leaving behiind several abandoned sections plus SR 764 Payne Shop Rd. 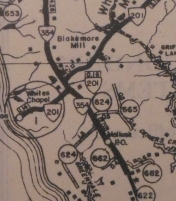 In Feb 1968 (CTB), VA 354 was removed from a now-abandoned loop between SRs 711 and 680. Comment: The CTB put VA 354 in place because it served populated areas without a primary connection. Driving VA 354 today you have to wonder what they meant by "populated". VA 354's south end is a true dead end at the water's edge. From Dave: Just off VA 354 is one of the two free VDOT-run ferries in the Northern Neck. It carries two cars at a time, and if there's room the operator will actually go back to pick you up if you just miss the launch - at least he did for me.